This payment plugin provides integration of 2Checkout to Hikashop - a Joomla e-commerce component. 2Checkout is a payment service that provides global payments over 200 markets and let you to maximise online sales. HikaShop is a native E-Commerce extension for all versios of Joomla. It is built for simplicity and flexibility. Note: 2Checkout payment platform offer several checkout experience to receive funds: Standard Checkout, Inline Checkout and Payment API. 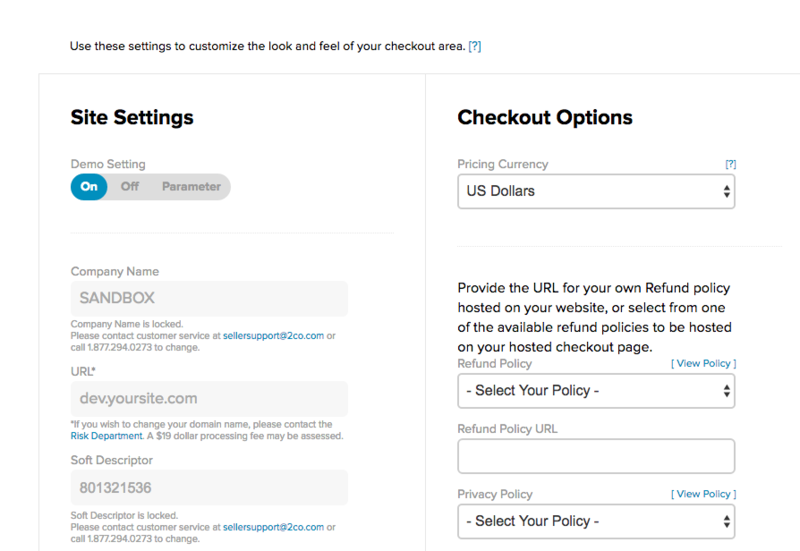 This plugin operates as Inline Checkout. URL must contain your site URL. E.g. [dev.yoursite.com]. It's required field. Please be careful with entering corrent URL since changing the domain name will require additional payment. Don't forget to set Demo Setting to No for live site and set up correct currency (should be the same as in Hikashop). If you want to start with Sandbox, please do not forget to enter URL of your dev site during registering the sandbox account. 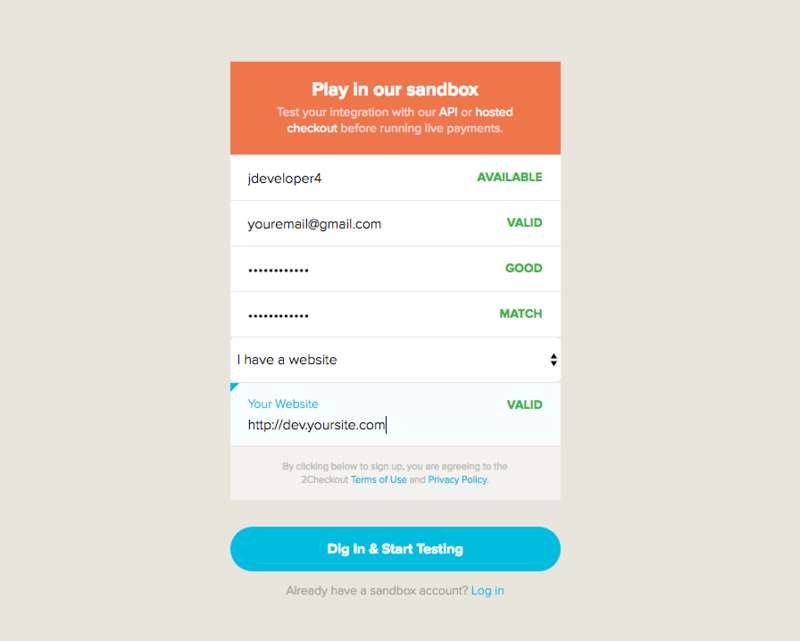 To correct payment processing you need to fill URL in both Live & Sandbox accounts. Please bear in mind that Approved URL can't be cleared once you added any value. The value can be changed / updated, but it's unable to clean the field and you get previous value after saving the configuration. We recommend to create Sandbox account for testing purposes and to register Live account for live site. As a result, you will have two accounts. 2Checkout Inline for Hikashop can be installed as typical Joomla extension. Make sure you have downloaded the latest version of the plugin. Go to Administrator panel > Extensions > Manage > Install and select the package downloaded from NorrNext site. This feature allow to get an update of the plugin via back-end in few clicks. Set your download key to enable the update using Joomla! Update System. You can find the key in your 2Checkout Inline for Hikashop subscription on the NorrNext website. Go to Administrator Panel > Components > Hikashop, then go to System > Payment methods, click on New button and select 2Checkout Inline for HikaShop. You will see payment method settings. Published - (Yes / No). This option allows to publish the method. Set to Yes. Images - list of icons to be displayed at front-end side. 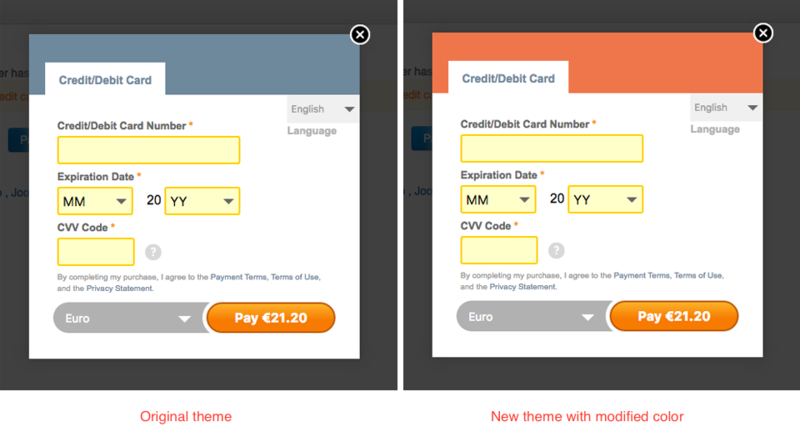 You can select what payments are accepted (VISA, Mastercard, PayPal and etc) and display its icons on front-end side. If you want to use custom images, please upload them via FTP to /media/com_hikashop/images/payment/ folder and and you will be able to select them in this option. Generic Configuration: select images and set up price and tax category. Price - set payment fee that will be taken from user for using this payment method. Percentage - payment fee in percents that depends on the total amount of the products in the cart. E.g. your product cost 20€ and you need to take 6%. The payment fee for the payment will be 1.20€. Tax category - select tax category from the list. Sandbox Mode - Yes / No. If this param is enabled, no real money will be used. You can use Sandbox test data. Debug - you can enable debug mode of the payment plugin. The information about each payment will be logged in the payment log file. You can see and modify the location of this file in Hikashop configuration page. Invalid status - here you can select invalid status of the order which could happen when your order has an amount different from the order total or there is different currency. Availalbe options: created, confirmed, cancelled, refunded, shipped, pending. By default it is cancelled. Verified status - here you can select verified status of the order. Availalbe options: created, confirmed, cancelled, refunded, shipped, pending. By default it is cancelled. Cancel url - custom URL to which user will be redirected in case of payment cancellation. It is optional param. 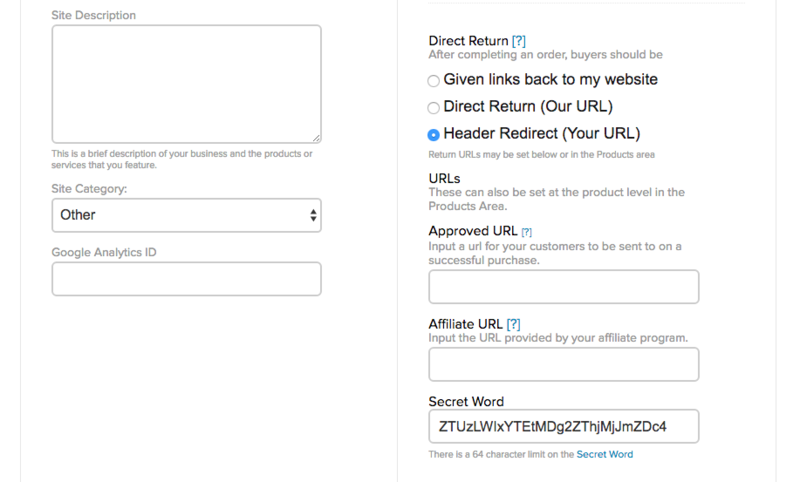 Return url - custom URL to which user will be returned after the successful payment. It is optional param. Zone: You can restrict the check payment method to a zone. By clicking on the edit icon, a popup will open enabling you to select a zone. You can also remove this limitation by clicking on the delete icon. 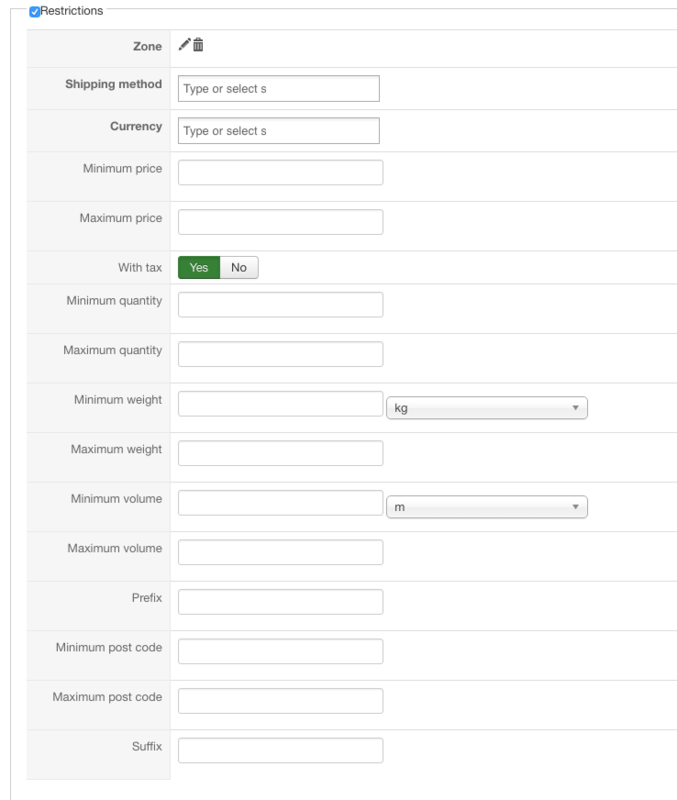 Shipping method: With this option you can select the shipping method for which this payment method will be available. For example, if you choose UPS, this payment method will only be usable if UPS is selected as shipping method. If an other shipping method is selected, this payment method will not be displayed. Note: if you selected "None" or don't select any shipping method, this payment method will always be available. Minimum price: The payment method can be available for only orders above a minimum price. This price uses the payment method price currency even if the price is 0. Maximum price: The payment method can be available for only orders below a maximum price. This price uses the payment method price currency even if the price is 0. With tax: Display the payment method only for products with tax. Minimum quantity: If the order has a price lower than the price set in this field, so this payment method will not be available. Maximum quantity: If the order has a price upper than the price set in this field, so this payment method will not be available. Minimum weight: You can set a minimum weight so that orders below it won't be able to be paid with the current payment method. The weight of the order will be calculated based on the weight of each products in it. Maximum weight: You can set a maximum weight so that orders over it won't be able to be paid with the current payment method. The weight of the order will be calculated based on the weight of each products in it. Minimum volume: You can set a minimum volume so that orders below it won't be able to be paid with the current payment method. The volume of the order will be calculated based on the volume of each products in it. The volume is calculated with the width, height and length of the products. Maximum volume: If the order has a volume upper than the price set in this field, so this payment method will not be available. Prefix: You can restrict your payment methods to only post codes including such prefix with this option. Suffix: You can restrict your payment methods to only post codes including such suffix with this option. None: When "none" is selected, the payment method will never be displayed. All: "All" allow you to display the payment method for all the type of users. All groups are allowed to pay via this payment method. Custom: Here you can select which groups can use this payment method. All the checked groups will be able to use this method. Description of Restrictions and Access Level was taken from official Hikashop documentation. To proceed the payment 2Checkout requires 2nd address for the following countries: Russia, Japan and China. If you sell to these countries, we recommend you to enable custom address_street2 field. The standard popup window has grey-blue color. You can change it adding new theme and customizing the color. It can be done in live account. 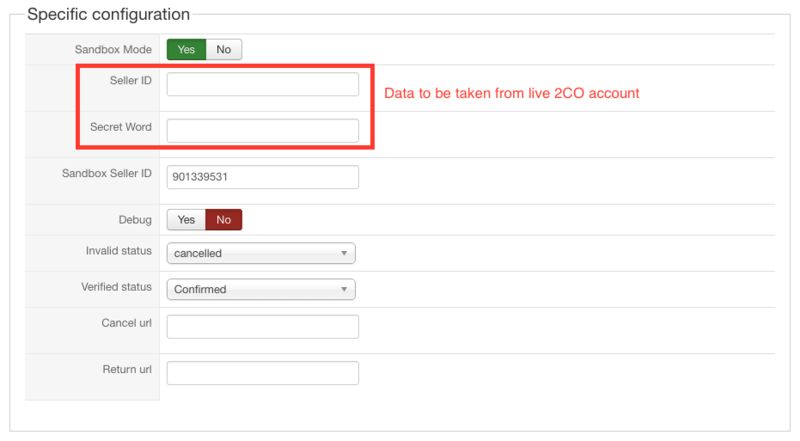 Go to 2Checkout Dashboard > Account > Site management and click to Manage Checkout. There you can select new color schema and preview how the popup window looks like. After saving, you will get new color. Example of default and custom colors. Let's add custom alert with Bootstrap style. Go to Administrator Panel > Extensions > Languages > Override. Select [yourlanguage] - site value in filter and create new constant. Payment page. Custom text added via language override. It happens when some required params are missing. Examples: - The order has an amount different from the order total - There is different currency in Hikashop and 2Checkout - Wrong site URL at 2Checkout dashboard - Wrong seller ID - You have disabled sandbox mode and forgot to add live seller ID - Direct return field is not empty in 2CO live account (see recommendations above). Please, check out all settings as in Hikashop so in 2Checkout user account carefully.